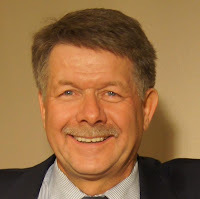 Calgary Rants: Help Alberta Senate Candidate Jack Redekop "Jack The Senate"
Help Alberta Senate Candidate Jack Redekop "Jack The Senate"
With the Alberta senate candidate nominations underway, I thought I would share some information about local candidate Jack Redekop. I have known Jack for a few years now and worked closely with him on a few different boards and I believe that Jack would make an excellent Senator. Jack is a successful business owner, dedicated community volunteer and I am impressed by his commitment to the community. Jack is also a dedicated conservative and has worked on many local riding associations in addition to his community volunteer work. He is committed to senate reform, which I also support entirely. If not an Elected and Equal Senate now, when? Why is the Senate irrelevant? Because Senators have been appointed by Prime Ministers’; some of past governments as far back as Jan., 1984. The Prime Minister of that day was Pierre Elliott Trudeau. Who are these Senators accountable to? Some to a Prime Minister that has been deceased for almost 12 years? Constitutionally Senators were supposed to represent the Provinces, particularly in the areas of health care, manpower, education and taxation – a travesty because the Provinces have been robbed of this representation, ostensibly since confederation. Moreover, representation by population has also not been adjusted since confederation. One need only look at the four Maritime Provinces with a total of 2.3 million residents with 30 Senators, as compared say, to British Columbia with a population of 4.4 million, almost double that of the Maritimes, and yet has only 6 senators. Of the 104 Senators currently appointed (1 seat still vacant), only 2 have ever been elected by a Province (Alberta), then appointed by the reigning Prime Minister. Stephen Harper appointed Senator Bert Brown (the father of the EEE) in July of 2007 and Senator Betty Unger this week. Prime Minister Harper, with the assistance of Senator Brown have proposed Bill C-7, the Senate Reform Bill, now in Second Reading in the House of Commons, expected to be advanced in June of this year. With a majority of Conservatives in the House and in the Senate (although even some self-serving Conservative Senators have said they may not support C-7), we may have our single best opportunity to finally right a 145 year wrong. Even if C-7 is passed by the House and then the Senate, there is still much work to be done convincing other provinces to actually hold elections for Senators. B.C., Saskatchewan, New Brunswick and of course Alberta have committed to holding elections, but to be effective, you need at least 70% of the population, which means 1 of Ontario or Quebec, and no one is betting on Quebec getting on board, even if it meant they would finally get the provincial representation they have been seeking since the start of the separation movement. So the task goes to convincing Ontario MP’s and Senators to pass then adopt Senate Reform Bill and hold Senate elections. Once Ontario is on board, we will have that critical over 70% requirement with which we can then further address the Equal part of the equation. But the time is NOW, for who knows when we will next have a Prime Minister committed to fulfilling the responsibilities for which they were originally constituted. For more information on Jack, be sure to check out his website at www.JackTheSenate.com.